Potato Psyllid, A Pest of Potato in the Western U.S. The potato psyllid (Bactericera (=Paratrioza) cockerelli)(Fig. 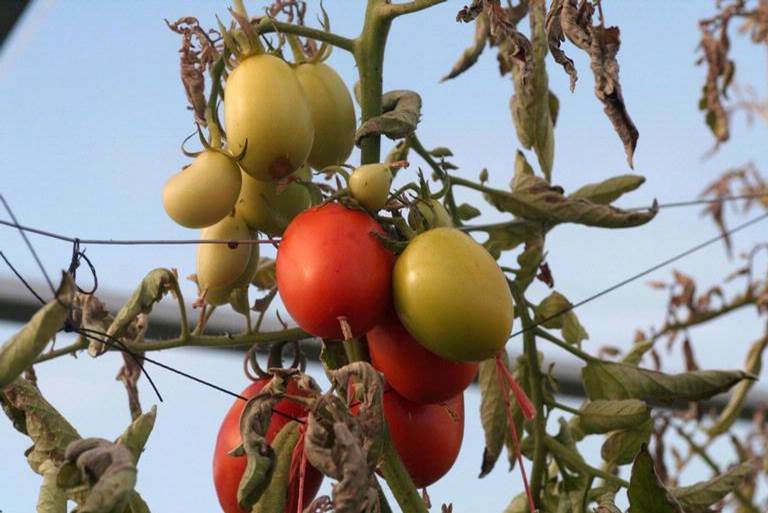 1) is a serious pest of solanaceous crops. 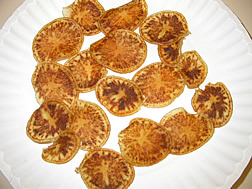 It causes direct damage to the plants and also vectors a pathogen known as “zebra chip” (ZC) (Fig 2. 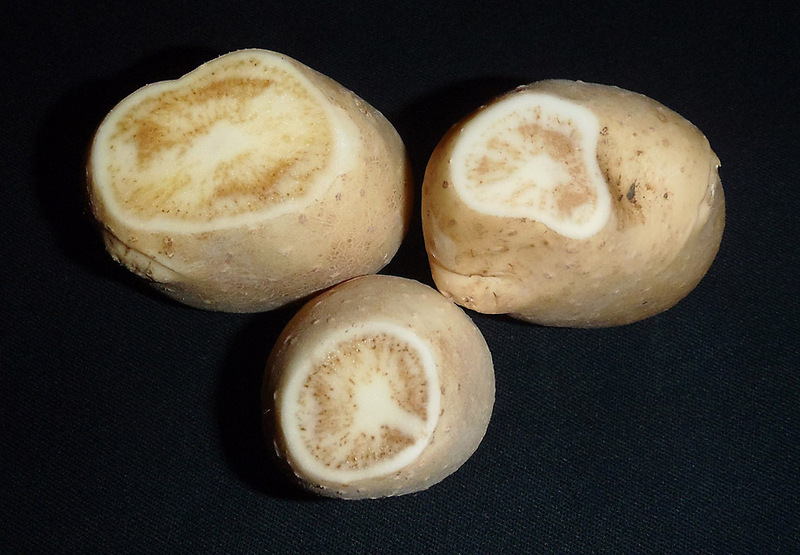 ), and has been documented in commercial potato fields in the U.S. (Texas, Nebraska, Colorado, Kansas, New Mexico, Arizona, Nevada, and California), Mexico, and Guatemala. 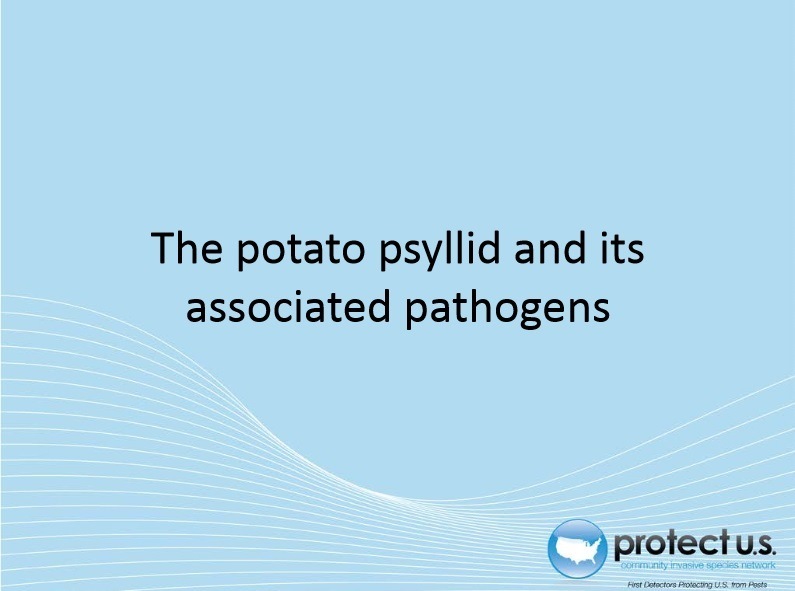 The disease was named for the characteristic discoloration in potato chips produced from infected tubers. Potato psyllids have not established east of the Mississippi River. All potato psyllids found in Florida have been interceptions from places known to be infested with the pests. Adults and nymphs feed by sucking plant juices. Damage is caused by a toxin that the immatures (Fig. 3) produce when they feed. The toxin causes a plant response known as psyllid yellows. Symptoms (Fig. 4) include an upward curling of leaflets nearest the stem on the top part of the plant. As the disease establishes itself, this symptom becomes more evident. Plant yellowing is the most common symptom. The yellowing (in some varieties, purpling) is initially found on the leaf edges. Use yellow sticky traps to detect the presence of potato psyllid and initiate leaf sampling. The undersides of leaves can be examined for nymphal stages. 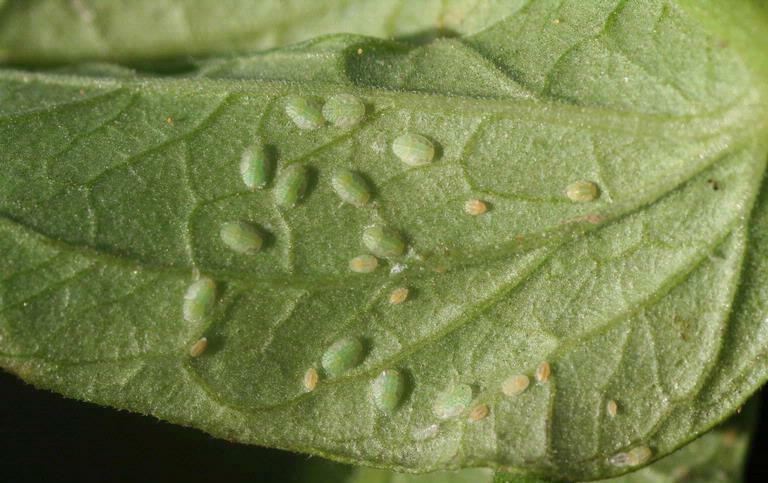 Because potato psyllid nymphs can be difficult to see on a potato leaf, planting a few pepper or bean plants in the field can provide an easier way to detect the nymphs. Click the image for more information about the potato psyllid.